We talked to Juliet Dale from ‘The Great Eco Challenge’ about her recent Eco Neighbourhood Clean Up. 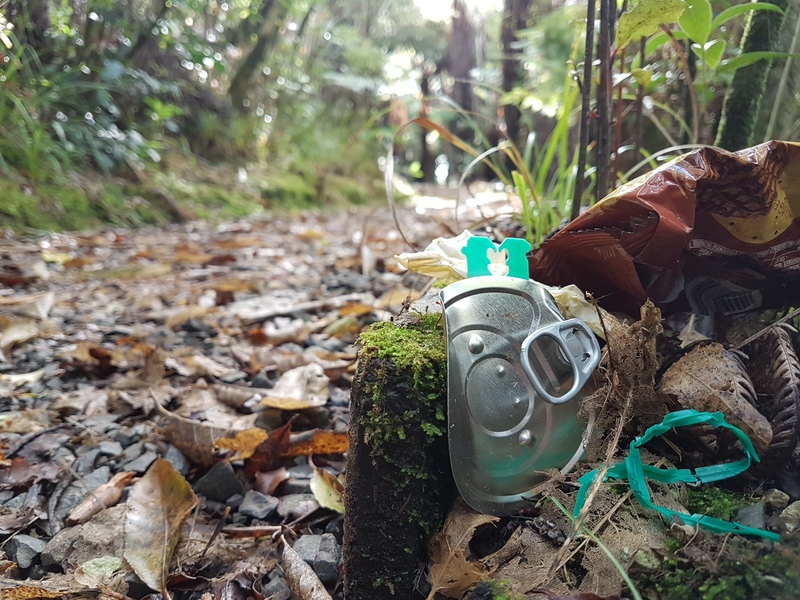 What you need, where to you go and how to be safe when cleaning up around your local parks, streams and beaches in NZ. Read on for her top tips on a successful neighbourhood clean up. Why is it important to pick up rubbish in NZ? J: By 2050 there could be more plastic than fish (by weight) in the ocean – How. Absolutely. Mind. Boggling is that? Beach clean ups are a great way to stop rubbish getting into the oceans, but actually, any waterway or street can also lead to the sea, so absolutely ANYWHERE is a great place to start. What do you need to pick up rubbish in your local area? J: Something to collect the rubbish in – we asked people to BYO bucket, which worked well. Gloves – some people brought their own gardening gloves, but I also supplied compostable (commercially) gloves, and collected them back at the end. I am testing them in my worm farm to see if they eventually break down, otherwise you need to track down a commercial composter! Bins to sort rubbish at the end. You’ll need to separate into landfill, recycling, and if possible, compost (the compost bin won’t need to be as big). You could try approaching local compost companies to see if they’re keen to be involved. All our bins were very kindly donated (including drop off and collection) by an awesome local company. Treats! As we had a bit of funding, we had coffees (in our own cups of course) and ice blocks (check out Dr Feelgood ice blocks in boxes!) You don’t have to get funding though, try approaching local cafes and see if they would be interested in giving a coffee to everyone who collects a bag of rubbish, or you might be able to get some little sustainable gifts donated to thank people. It was awesome to sit around afterwards, feeling super good about what we had just done, and have a chat with neighbours. Where are the best places to pick up rubbish? J: Beaches are great, as you can stop litter that is directly on course for the sea, but as I mentioned, rubbish anywhere can end up in the oceans, or it can just sit there ruining our beautiful environment and neighbourhoods, so in short, anywhere is a good place to pick up rubbish. It’s good to meet at a local landmark; a playground, water fountain, well known building – ideally somewhere that you can set up the bins. It can be handy to have a map so that people who turn up can discuss where they want to get going, and you don’t end up with too much overlap. How can I organise a clean up day with my family and friends? J: Either just spread the word personally, or make a facebook / google event and send it out! How big you want it to be will define the privacy settings and whether you encourage people to pass on the invite. You can also try mail drops, or leaving some flyers at local cafes, kindys and schools. Set a time, and a place to meet, and make sure you let people know what they need to bring. Be prepared for the fact that people won’t turn up all at once, on time. I felt like a bit of a goon sitting there by myself for ten minutes thinking that no one was going to turn up! It might be a good idea to turn up with at least one other person to avoid that awkward moment. What safety measures do I need to think about when picking up rubbish? J: Gloves are a good idea. Other than that I think that as long as it’s clear that children stick with their caregivers, people should be able to use common sense and look after themselves. What kind of rubbish did you see most often? J: All forms of plastic! Number one for sure was cigarette butts (which have plastic in them). Some other common ones were straws, bottles and lollipop sticks. Some of the more random ones were a car tyre, a spatula and a huge folded up piece of fabric. What could be done to help with the problem of rubbish? J: That’s a big question! Picking up rubbish, either in organised clean ups, or just as part of your everyday life, is a great place to start. Ultimately though, we are dealing with the problem rather than the cause. At some stage we have to look at our consuming habits, our desire for the convenience of single-use, our thoughtlessness in regards to what happens to what we discard. In the meantime though… let’s keep picking up rubbish! Juliet Dale created the Great Eco Challenge. 52 Challenges in 52 weeks that are easy, fun, can save you money and most importantly, help you to live more sustainably. Follow her on Facebook or Instagram and try a new sustainable change each week. Website Design By White Rabbit Graphic Design. © Copyright 2019. All Rights Reserved.